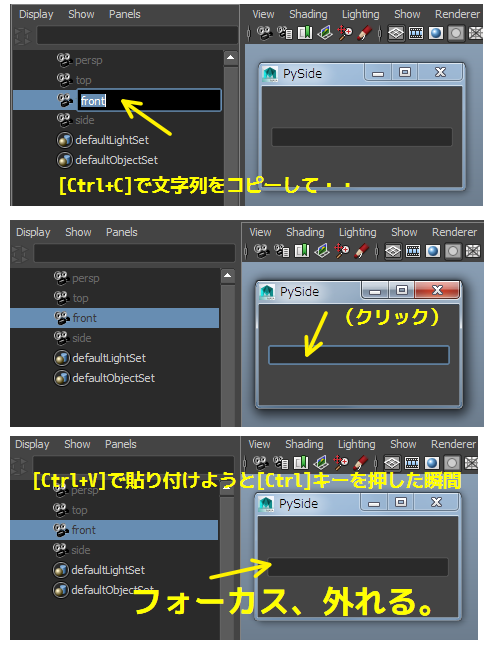 Set MAYA_FORCE_PANEL_FOCUS to 0 so that when you have a Maya or Qt window over another window with a model panel (or a window such as the Outliner, Graph Editor, or any panel under Panels > Panel), hitting the Shift key does not cause the model panel's window to steal focus. The default value of this variable is 1. When this environment variable is set to 0, clicking a hotkey only affects the workspace that has focus. If you want to use the hotkey with a different workspace, you may need to click on the workspace to bring focus to that area before your hotkey takes effect.